Back in the day (2009-2010), I wrote a weekly fictional series about an Executive Team at Gliebers Dresses, a cataloger struggling to deal with the realities of modern marketing. If reading about a fictional Executive Team is not your cup of tea, click here and spend your time learning about Marketing Leadership and the Customer Journey. Setting: The Gliebers Dresses Executive Conference Room, Cyber Monday. The Executive Team is gathered for their daily 9:00am meeting. Glenn Glieber (Owner, Chief Executive Officer): Welcome, team. How was your Thanksgiving? Meredith Thompson (Chief Merchandising Officer): I'm going to be eating left overs until Christmas. Lois Gladstone (Chief Financial Officer): You still have left over stuffing from last year in the cafeteria refrigerator. Pepper Morgan Pressley (Chief Marketing Officer): Ew. Meredith Thompson: Roger, at this point you typically jump into the conversation with a reference to Woodside Research. Then, we spend thirty minutes telling Pepper what a horrible job she's doing. Roger Morgan (Chief Operating Officer): I'm busy. Meredith Thompson: Get your head out of your tablet and tell Pepper she's a failure. Roger Morgan: I just can't stop reading through all these Cyber Monday offers. Pepper Morgan Pressley: Here we go. Roger Morgan: Thirty percent off. Forty percent off. Fifty percent off one item plus free shipping. It never ends. It's marketing competition at the highest level. Somebody is going to win the pricing war!! Pepper Morgan Pressley: Do you get a trophy for winning the pricing war? Glenn Glieber: What is Cyber Monday? Roger Morgan: I'll take this one. Cyber Monday is the best holiday of the whole year. Glenn Glieber: Better than Flag Day? Roger Morgan: It's the day when marketers tickle the customer buying bone by offering the deepest discounts and most tantalizing promotions. Pepper Morgan Pressley: It's a holiday invented by a trade organization to generate page views and to focus attention on e-commerce. Roger Morgan: And it worked! Cyber Monday is as important a day in the digital realm as Black Friday is in retail. Pepper Morgan Pressley: We have to give up an epic amount of gross margin dollars and profit so that trade journalists get page views and attention. Roger Morgan: All the attention created by trade journalists acts like free marketing for us. Lois Gladstone: What is our Cyber Monday promotion? Roger Morgan: I'll take this one. We have six segments, based on historical promotional response. Pepper Morgan Pressley: I'm in charge of marketing. Roger Morgan: Sure you are. As I was saying, we have six segments. Our most loyal discount buyers get 60% off plus free shipping. We stair-step the promotions down to 30% off for inactive buyers. Lois Gladstone: Our most loyal discount buyers get 60% off plus free shipping? That means we don't generate a penny of profit on the order. Roger Morgan: Bean counters, geez. Meredith Thompson: Roger, my bonus is based on gross margin dollars. If you take 60% off, I lose every penny of gross margin. Roger Morgan: But you win Cyber Monday! Meredith Thompson: I don't think you understand, Roger. Roger Morgan: No, I don't think you understand. This is all about personalized, relevant, one-to-one offers that create customer loyalty. Lois Gladstone: Are you saying that a Cyber Monday purchase leads to increased customer loyalty? Roger Morgan: That's what Woodside Research said in a recent $1,795 thought leadership essay titled "Cyber Monday Purchases Are Highly Relevant And Engaging In A Rapidly Changing Mobile World". Lois Gladstone: What does that have to do with increased customer loyalty? Roger Morgan: It's so simple, really. Pepper Morgan Pressley: Please use Gliebers Dresses metrics in your argument, Roger. Roger Morgan: Cyber Monday is a major American event. Customers are in a froth, awaiting the best possible discount or promotion. We need to capture mind share in an effort to remain relevant in an ever-changing mobile landscape. Glenn Glieber: Don't forget the catalog. Pepper Morgan Pressley: By offering personalized, relevant one-to-one offers? Roger Morgan: By offering personalized, relevant one-to-one offers on a day when e-commerce truly scales, we capture mind share, and mind share in an omnichannel environment is far more important that a few gross margin dollars that net a merchandising executive a bonus. Meredith Thompson: If I meet my annual goals, my bonus, and your bonus, is around $150,000. Roger Morgan: My bonus isn't based on gross margin dollars. Meredith Thompson: What is your bonus based on? Lois Gladstone: It's based on how many Woodside Research reports he purchases each year. Roger Morgan: My bonus is based on the quantity of transactions that go through the distribution center without error. Meredith Thompson: So if you could get 100 orders at full price or 200 orders at 60% off, you'd take the latter because your bonus will theoretically be bigger? Roger Morgan: You know me well enough to know that I don't care about my bonus. Pepper Morgan Pressley: You only care about impressing Woodside Research. Lois Gladstone: So what happens next year when the competition offers 65% off plus free shipping? Do we have to offer a deeper discount? Roger Morgan: You only win Cyber Monday when you have the biggest discount. Lois Gladstone: So when the competition offers 70% off plus free shipping we have to match it? Roger Morgan: Or do better. Lois Gladstone: We'd have to offer 75% off? Roger Morgan: Do you want to win Cyber Monday or not? Meredith Thompson: I want my bonus. Roger Morgan: Well I want to win. Period. Team, don't you want to be excellent? Don't you want to be the best? Maybe the reason our business is stuck is because we simply don't want to demonstrate the thought leadership necessary to be great? Lois Gladstone: You want to be the best by offering the deepest discounts, causing us to lose money but win Cyber Monday? Being the best is defined as winning Cyber Monday? Roger Morgan: We have to win in real time, folks. We need to dynamically increase our promotions during the day, as competitors offer their promotions. In a perfect world, we demonstrate thought leadership by working with our email service provider to integrate our database in the cloud, enabling us to optimize yield. Don't you want to optimize relevant, engaging promotions in real time? These are mission critical opportunities to demonstrate thought leadership in a rapidly changing mobile landscape. If we do this right, we not only win Cyber Monday, but we move one step closer to embracing an omnichannel future. Glenn Glieber: What the heck did Roger just say? It sure sounded important. Meredith Thompson: Roger, you have yet to say a word about merchandise. Roger Morgan: This isn't about merchandise. This is about winning Cyber Monday. Meredith Thompson: My customers purchase merchandise. Roger Morgan: Our customers purchase the brand promise. Merchandise is a very small fraction of the brand promise. Meredith Thompson: What the heck are you talking about? Roger Morgan: By offering relevant, timely, personalized, engaging content in real time by integrating our email service provider with our cloud-based customer database, we leverage discounts and promotions, causing loyal customers to participate in the brand promise. In a rapidly changing mobile landscape, digital relationships are a mission critical component of any omnichannel endeavor. I want to win Cyber Monday, because it puts us in a position of thought leadership, and it enables us to scale the operational challenges we face. Furthermore, we'll use cross-channel attribution algorithms and artificial intelligence to obliterate the traditional purchase funnel. Finally, by measuring social media sentiment, we can develop an unwavering bond with today's fickle promotional shopper. Our brand might even go viral. Pepper Morgan Pressley: But we'll be bankrupt if we do that. Roger Morgan: Not if we do it the right way. My way. Meredith Thompson: Feldman, help us out. Dr. Gene Feldman (Executive Vice President of Global Brand Direction): Do you remember those old movie subscriptions? If you signed up for a year, they gave you twelve VHS movies, for free? And then if you acted immediately, they gave you a thirteenth movie for free? Well, that was a fancy way of saying "50% off". It probably wasn't fifty percent off, because the markup was unnaturally high. They key to the promotion was that you got the freebies first, then, you were stuck paying full price or more for a full year. The promotion promised a full year of purchase activity. In other words, the promotion was part of a long-term customer relationship. 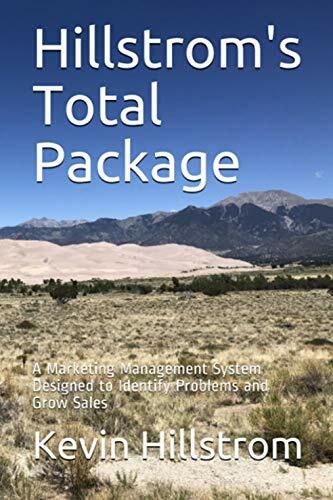 Dr. Gene Feldman: A promotion must be part of a long-term customer relationship, one where the customer is consistently purchasing and is consistently generating downstream profit. If a promotion only generates a daily demand bump, then the promotion only helped the vendors who demanded that the promotion happen in the first place. Roger Morgan: Don't forget relevancy. Or personalization, one-to-one marketing, omnichannel, optimization, the cloud, engagement, thought leadership, all of those concepts interact with the promotion, allowing the brand to win Cyber Monday. It's so much more than what Feldman outlined. Glenn Glieber: Did we win? Pepper Morgan Pressley: Win what? Glenn Glieber: Cyber Monday. Did we win? Lois Gladstone: We need to run our business for us - we do not need to offer discounts so that we generate page views for other people. Roger Morgan: None of you are able to envision a future that we can win. None of you. Glenn Glieber: Well, I'm not quite sure what we accomplished this morning, but it must have been important, because y'all spent a lot of time talking about it. Now let's go make Cyber Monday a magical holiday. I should talk to HR about making it a formal holiday on the paid time off calendar.